Evidence-based programs work! Solid research studies have proof that these programs promote documented health benefits and prevent disease or injury among older adults. Seniors who participate in these evidence based programs have a better quality of life - better long-term health and fewer falls. For more information about how to bring one of these workshops to your community or facility, contact us at 800-432-9209. This workshop is for adults age 55 or older who have concerns about falling and may restrict their activities due to their fear of falling. The workshop is designed to manage falls and increase activity levels. Workshops will teach participants to view falls as controllable, set goals for increasing activity, make changes to reduce fall risks at home, and learn exercises to increase strength and balance. Each workshop is 2 hours long, once a week for eight weeks. Workshops are conducted by trained leaders. The program was developed by Maine University. Tai Chi has been shown to be one of the most effective exercises for preventing falls. Tai Chi for Arthritis helps people with arthritis or other neuromuscular conditions to improve all muscular strength, flexibility, balance, stamina, and more. 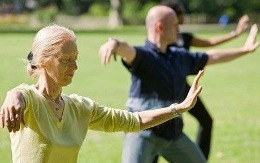 Medical studies confirm Tai Chi for Arthritis relieves pain, reduces falls, and improves quality of life. 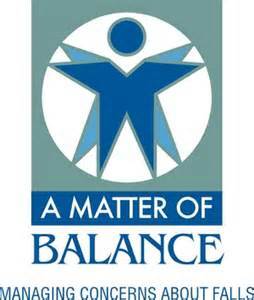 The Centers for Disease Control and Prevention recommend it for fall prevention. This class is held for a total of 12 one-hour sessions. Workshops are conducted by trained leaders. The program was developed by Dr. Paul Lam at the Tai Chi for Health Institute. A 6-week workshop geared for persons with diabetes or their caregivers. The workshop does not replace any of a person's existing cares, programs or treatments. Goals are to develop tools to understand and receive support with healthy eating, being active, monitoring, medication management, prolem solving, health coping, and reducing risks. Participants will learn to make better nutrition and physical activity choices, deal with pain and fatigue, sleep better, talk with their doctors and family about their health, and to set goals and make a plan to improve their health and life.